Hey there good lookin!! I’m so sorry for my absence, but I’m back. I took some time to reevaluate this blog and after some encouragement I’m pushing forward. Since summer has begun, I’ve decided to return with a review of some swimwear. The unofficial kick off to the summer season is the Memorial Day holiday weekend. 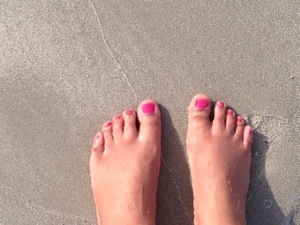 To celebrate, I took a mini vacay in Myrtle Beach. 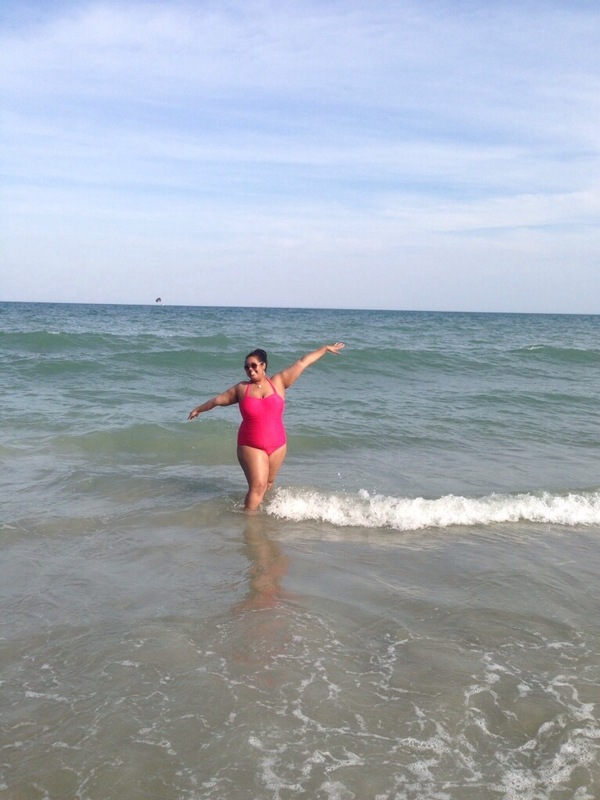 It was bike week but to take a break from roars of the motorcycles, we spent some time on the beautiful beach and I made sure to find a bathing suit that was fabulous as the view. Making sure I bought a suit that was fitting for me, I checked out Forever21. I found this Retro Halter in rose. The color went well with my skin tone which was great because finding complementing tones is important, especially swimwear. This one piece was great. The halter was great because it of course allowed me to adjust my support. There was a lot of wiring but I think it was necessary to make sure everything stayed in place. Hey look, I made sure my toes matched. Don’t they look beachy? Well that’s all for now. Summer is a great time for style and it’s going to be a challenge for my STILL transitioning hair. There’s been some improvement by the way but that’s talk for another post. Bye-bye.